A new Stones Reference book, with categorized issues and then Stone support using the Gas Discharge Visualization Machine! 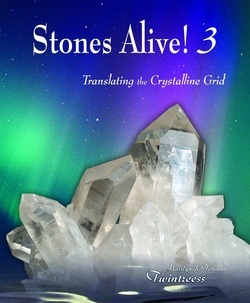 This completely unique reference book combines both the traditional scientific information and the energetic qualities and Spirit of selected Stones A-Z. This allows us to relate to and respectfully utilize the full, conscious gifts of Stones-the Earth’s timeless recordkeepers. Their wisdom runs through the ages and knows how to make miracles at any time. The second half of the book offers absolutely new, sacred stone combinations, like “Bliss” and “Immortality.” Whenever any of us combines our truth and energies with full intent, the creativity that we produce is exponential. In other words, when Tohmas and Marilyn combine their hearts to listen to life, their energy does not double, it expands 3, 4, 100+ times! It is the same with the Stones. In these combinations they offer us the expansion of all their energies and wisdom at a time on the planet when we most need it. The stone combinations also allow us the opportunity to open our hearts to deeper layers of respect, in realizing that each stone in the combinations is a single unique being (as well as a member of a larger family) that has its own special properties that it brings to the combination beyond the generic family traits it also exhibits. As we open to these special individual qualities we open to the realization that each stone is a live, conscious being. We then become more capable of entraining with the stone combinations’ energy from a new standpoint of openness, respect, clarity and unconditional love. Stones Alive! was born from our listening to the Stones. We put the words from these Earth recordkeepers alongside the appropriate geological information in a way that makes this a new kind of reference book. It happily joins science and mystery. To us, that makes anything possible. It shows us the way into the new millenium by peacefully integrating all of our gifts and all of the incredible resources of our planet home. By listening to the stone information combined this way, we can feel the ancient, timelessness of the Stones, and we feel how they are evolving. Their story is changing every single minute, just as the Earth is and just as we are. All of us are growing in our own unique way and contributing that to the whole of life on Earth. We feel honored, utterly, to have co-created “Stones Alive!” and are very happy to share it with the world. We invite you to share the adventure and to grow with it. Note: All information here is offered in full love and respect. We expect you to review it with complete discernment and personal responsibility. These words are not meant to replace your own sound wisdom and the advice of your medical practitioner. Thank you for respecting this. You are welcome to share these excerpts as long as you credit them to “Stones Alive! 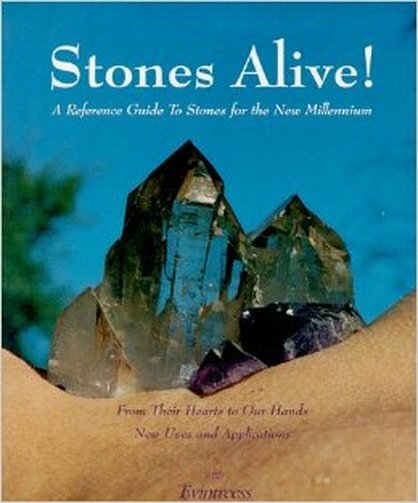 A Reference Guide to Stones in the New Millennium” by Twintreess. Thank you. From the Greek work, phenakos, for “deceiver,” from being mistaken for Quartz, I am Beryllium Silicate, a colorless, white, yellow, pink to brown vitreous mineral formed in hypothermal veins, pegmatites and Mica schist. Hexagonal in structure, I form in well-developed flat rhombohedral to long prismatic crystals, striated lengthwise, often forming penetration twins. I am among the harder minerals at 7.5 to 8, and my cleavage is poor in one direction. I can be found in the state of Minas Gerais, Brazil, and in the Russian Urals, Switzerland, Austria, Norway, and the United States. Physical Integration: Embraces clear thinking actions. Focuses on and tones weaknesses in the body. Sharpens instincts. Deepens breathing. Emotional Integration: Gives us guidance. Assists us in feeling loved and supported as we are. Aligns our heart with all of life. Promotes full emotional healing and integration. Millennial Uses: The next great unexplored territory lies within us; it is the inexplicable unlimitedness and Spirit that comprises all of us. Phenacite directs us, on that level, to all the guides, angels and guardians that we need (sometimes without our conscious awareness). It enhances our communication with these unseen levels of life and offers us pathways to live multi-dimensionally. Even though we may not understand it, if we listen to the gifts of Phenacite, we open ourselves up to the perfect possibilities for which we may be designed. StoneStory: Deep within the womb of feelings, you know me. You know me because you know yourself. You know that your Spirit reaches beyond your words your acts even your dreams. It stalks the open light of unimaginability. Yes, yes, yes. There I live. I breathe for you there. You need nothing, for you surround yourself with the sweetness of every loving Spirit. You remember this. You know this. You are unlimitedness. Silver is for the mirrors in life that show us truth. Moonstone is for safe passage in every home. Gold is to express all feelings immediately. Aventurine is for joy, inside and out. Physical Integration: Supports the thyroid and the metabolism. Increases flexibility. Emotional Integration: Creates a safe space for all feelings to be released. Continually frees the self from attachments. Millennial Uses: As we evolve into the future, each person will experience exactly the adversities that ultimately will free and strengthen them, according to their own needs and capabilities. The service of “Faith’s Embrace” is that it loves us as we face up to every part of our journey, fully. This frees us to love everything, starting with ourselves. As we feel strong enough, we can share our unconditional love and support with all others. Then we live in a peaceful, enduring world. Tools for Manifestation: For one full day, focus on Silver. Meditate upon it. Note its presence wherever you go. Gaze upon it fully. Appreciate it. Imagine yourself glittering in Silver. Absorb it into your being and know its love. Do the same with Moonstone, then Gold, then Aventurine. Repeat this until you intimately feel each, single stone being. Now, you’re ready to journey with them into unknown worlds. Now dedicate one full week to Silver, then Moonstone, then Gold, then Aventurine. Expand your ways of joining with them. Welcome the delight that they gift your world. Go forth in love and support. Personal Story: I don’t have a single-event-story about “Faith’s Embrace.” I just know that when I first saw it, I loved it. I have worn this combination many times. I have taken it with me on trips, because it helps me to feel secure. When I have been lonely, I put it on and my heart fills with a calming silence that helps me to celebrate solitude. I know that when I wear “Faith’s Embrace,” I am connected to others in a gentle, respectful way. Our Story About Writing Stones Alive! The Spirits of the Stones told us, “We want you to write with us a reference book on Stones.” “Okay.” “It will be different from other reference books, because it will give the geological information that you already associate with Stones, right alongside the words from our hearts about the gifts we offer all the beings upon the Earth. To have all of that information side-by-side will show respect for ALL of our qualities, not just the ones that you mine us for. This is the new way of life for all life in this millennium. This book will invite humans to this way of being, respectfully. It will change their lives.” Then we heard no more, consciously, from the Stonespirits about the book. For one full year, they let us absorb and live with their energies in other ways. Then they came to us again. “We are ready to write the book now.”“Okay.” “We want you to write it with us and we would like it to be ready for the Gem Show in January.” We heard this in November. It meant that we had to write and edit what would become over 300 pages in less than four weeks, in order for the graphics people to work on it and for the printers to print and ship it to us before the end of January. Of course, we said, “Yes.” And yet, we didn’t know how it would get done. Tohmas and I write as a team and at that moment, he was building a three-dome-with-a-pyramid-in-the-center house that seemed to consume all his time and energy. (What later became the basis of the “House as Teacher” book.) So we just began. Tohmas built everyday and I typed. We both tuned into all the gifts that the Stones had given us through the years. Sometimes, I didn’t know if what we were writing made sense or not (Tohmas felt that was a very good sign.). I just kept going, even when I didn’t know how to and almost didn’t feel like it. Tohmas would review it all, nodding, “Keep writing.” Somehow the book finished itself and I edited it as much as possible before it went off to the graphics specialist and the printers. With a lot of help, “Stones Alive!” birthed itself. It arrived at the Gem Show on time and it looked absolutely perfect. To this day, we have no logical explanation as to how this wondrous book got done in three weeks, but we don’t need one – the book stands as its own proof. We like this story because as you hear it, you realize that the only way we could have written all this is that the Stones, themselves, did it. Their incredible energy combined with ours and created a miracle. Over and over again, in our own lives, we have witnessed how Stones work with us and their specialty is directly manifesting what we need, here and now. They give with ultimate practicality. In writing this way, we literally did what the Stones asked to offer to all other humans on the Earth. We listened to them and accepted their gifts and it opened absolutely unimaginable doorways in life that have changed us forever. In "Stones Alive! Vol 1", we entered the ancient world of listening to Stones where the wondrous energetic gifts from their hearts offer us exactly the qualities we most need now. Individually and in healing combinations, they connect us to the Earth Mother and all of life, deeply and immediately. "Stones Alive! Vol 2" takes us more profoundly into our union with the Stones and the Earth Mother by empowering us to listen to the wisdom of the Stones for ourselves- an ancient art practiced by people who respectfully live close to the earth. Learn how Stones speak uniquely with you and how you can join your energies with theirs in gentle honoring and exponential miracles. 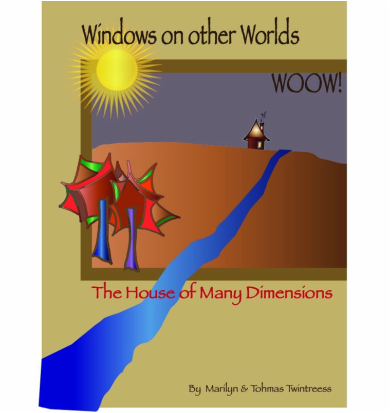 This new book also journeys us through Stone families and their particular and specific unique properties when they are found in varying locations. "Stones Alive! Vol 3" takes us home. Like all lifeforms, Stonebeings offer their unique talents to create their part of the perfect wholeness of life upon the Earth Mother. In this book the Stones show us the exponential, Planetary Crystalline Grid which offers us its all-encompassing consciousness to help us immediately evolve- beyond ourselves, and beyond all expectations- just as it is being called for NOW! It is the journey of coming home, where all beings are equally free and honored. With the Stones, we can co-create this NOW! This book is very precise, useful and complete. 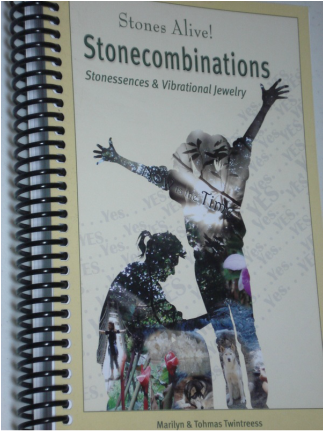 It brings together the Stonecombinations found in all 3 Volumes of Stones Alive, plus all additional Combinations we have co-created to date (approximately 200). As a reference manual and tool, it is easy to read, easy to use and as practical and informative in the same respectful way that everything is presented in all of the Stones Alive! volumes. Your hands may well make this your most used-looking book in a short amount of time! This is an extremely vital and important book AND our most important Workshop and learning/practice and one of our most favorite things to share. 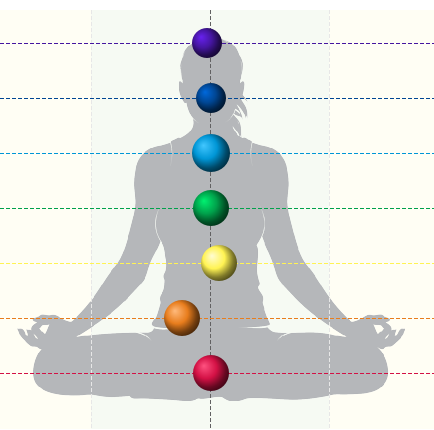 This is a pre-personality system that allows us to link to Union instead of personality as we evolve on our path. We have been sharing/teaching this Workshop now for a few years around the world and here, finally, is the Guidebook to support that personal work. We love working with the Elementals, the devic Spirits of the elements—Fire, Earth, Water, Air and Ethers. Everything on this planet, including her, is made up of these elements in some perfect, magical alchemy that ever dances to release blocked energy and to create form. 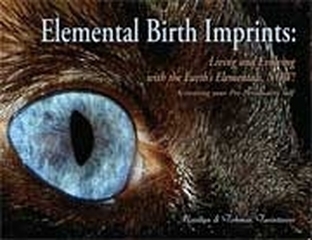 The moment before you are born, the Elementals imprint you with a particular combination of the elements. When you know this imprint and its energetic qualities, you can feel that pre-birth moment and spontaneously remember your perfect union and wholeness and connect with life in a more harmonious way. Yes! In this book, we listen to the Elementals and share how their qualities continually affect our life and our choices. Learn about an Elemental Birth Imprint and how it relates to unconditionally understand your true self. If you have never received your EBI before, hopefully this book will inspire you to contact us to receive that shift of paradigm information that can empower you in any moment, in any situation. If you already know your EBI, let’s put its magic directly to work! Bring your challenges and visions and dreams and and this book will offer Elemental practices and transformation to any area of life that you wish and more! The EBI book also contains a section at the end relating all the countries of the world to Elemental Imprints. 52 cards, with daily guidance & illustrated with Stone Totem photographs. Tohmas got a piece of paper and wrote them down. Our life changed immediately. We didn’t know that this information would land upon us like this. It came quietly, calmly and insistently. We were asked to transform these steps into Rituals and to focus on one a day, proceeding through all of them in chronological order. On day one, we listened to “Alchemy,” looking for signs of it in our life. We watched it move in our thoughts and our bodies. Judging nothing, we wore “Alchemy” for a whole day and night, letting it transform us, welcoming its magic with open hearts. On day two, we entered “Time”……… and so on. Our Spirits said, “If any time during this process you forget to be with one of these steps, stop. Go back to day number one and step one and go all the way through 1-13 consciously and fully, even if it takes you several tries. In your lives, you already go through these stages in each of your manifestations; however you often go through them without really being present and your manifestations reflect that. They seem disconnected and ostensibly, aren’t what you really want, anyway. For those of you who are participating in our yearly cycle of the Rituals of Manifestation Deck, we started anew again every year on January 1st, with the first card of the Deck, Alchemy. This is about our 20th year in a cycle of doing the Deck one Card per week, 52 weeks in the year. We invite you to continue on with us and the community of others who are participating in the same way around the world with the Deck in this fashion. 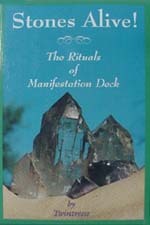 We finally got around to writing the Rituals of Manifestation Guidebook (after about 15 year of daily practicing the Deck). It goes over in depth these various cycles and alignments and link them all together in the myriad web of life. We have been practicing the Deck all these years in these many cycles as our own way to gain greater insights and open hearts about these processes and we continue to use this tool to consciously evolve and to ground our divinity ever more in and through our physical bodies and actions. "Do you know what happens when you become a Healed Shield? You are here as a vessel of Great Spirit and Great Spirit lays out its hands and creates. It creates others who will be creators. Surely you have heard of Grandmother Spider spinning her web all around the world and making the connections between all beings. Healing your Shield means that you have been a cracked Shield and have experienced the ways of death and then you come around the circle of your own freedom to choose the ways of life. Now let me be very clear about this. Many 2-leggeds will experience the ways of life and death but do you know what they will not experience most of the time in that? They will not experience death as a conscious choice that they leaned into, that they dived into, so that they could know the release of everything fully. Yes, they will experience the gift of life but most of the time will they feel it consciously? Will they feel it pass through all of their cells, one by one lighting them up and affirming that they are a sacred vessel of life? To heal your Shield does not mean that you are perfect. It does not mean that you are done. It does not mean that there is not more to heal. We are blessed by the Great Spirit who is a creator, ever endlessly creating. To heal your Shield means that you choose to consciously experience every level of creation including life and death and more. A Healed Shield is a being who has been through the most difficult journeys that their body and soul could endure, and then, they used that as sacred fuel to accept it all and to consciously experience more of everything that Spirit offers. A Healed Shield is intimate with all things because a Healed Shield chooses to be utterly intimate with Great Spirit and all its ways, wonders and creations. When you know what I have said, then you will not hesitate to walk into the world as a Healed Shield for it is simply your fullest choice; it is your intent in the Center Stillness and the motion of the exponential waves of life and death. In this cycle of “Alchemy,” you can realize that as you realize yourself, as you realize your healed Shield you know that you hold a vessel that shapes the patterns and the flows of eternal lifeforce according to the intent of Great Spirit. In this first ritual of the cycle of Rituals, we are being invited to consciously welcome the birth of a new year, a new cycle and a new life. It will not look like your expectations. It will not match your perfections – it will surpass them. It will answer your needs and it will release your desires. Consciously welcome this birth. Make your body a ready home for lifeforce. Freely choose to clear away distraction, confusion and the subtle defenses of the old ways. Welcome these teacher friends. Distraction and separation are part of the welcoming party of this new cycle. Clearing them away does not mean sending them away or burying them. That is not the way of a conscious being. That kind of death is unconscious and it will siphon away lifeforce instead of multiplying it. To clear your fear and separation means to be utterly conscious of them, to be clear with each other, to recognize them, to know that it is there, to fully, freely see the reflection of all parts of your self within them. You go to the welcoming party of life and Alchemy, with all parts of yourself. If you cannot welcome all that you are graciously, then how can you welcome life who bestows all the gifts upon you including death and separation. Today our ritual is to make way for the new Alchemy and the New Year. Welcome it with our heart and body and soul. You are creator vessels, children, of Creator Spirits. Make your bodies ready to hold the space for more life as respectfully as possible. That means give all of your creations as beautiful a road to walk as you can." 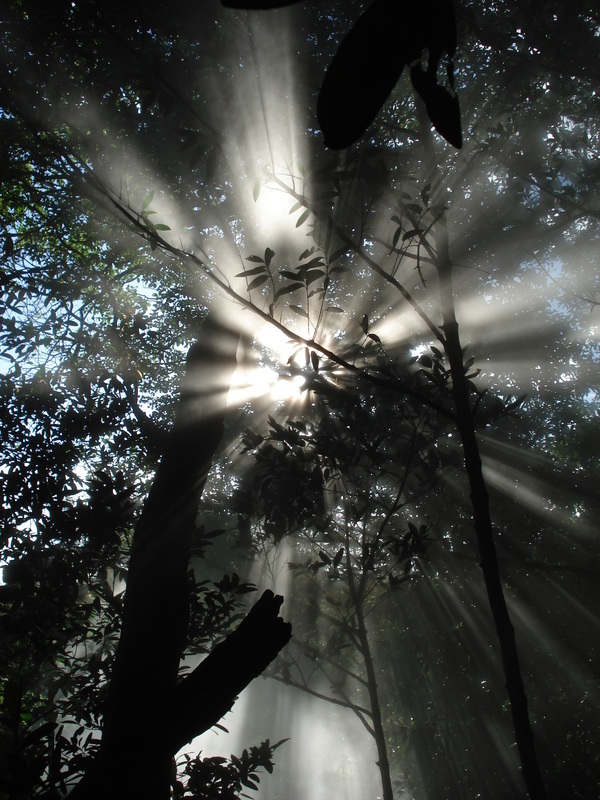 Lifeforce = Time on this Planet, Earth. a definition of Time in their group consciousness, it must shift and become a more multi-dimensional measure. and then link them to union- Time into Timelessness. Welcome to the companion Guide to the Rituals of Manifestation Deck: Loving, practical ways to manifest your true, chosen future, now. We live as organic, live food vegans. Perhaps nothing else has fueled our creativity and connection to Spirit more than feeding ourselves with tremendous sacredness, every moment. This book offers full-flavored, divine information and ongoing guidance, meditations and surprises to feast upon to grow all parts of your bodies and beings, right here, right now. Writing this shows the practice of our life (and of creating MORE life) at the core, and we share it with all our passion and joy. Live foods fuel the genius in you. They open your heart and call out miracles, because they are grown, prepared, and received in sacredness and gratitude... We commune with their generous spirits- their energetic gifts- and we grow more lifeforce at the core. We come together body and soul. That is live food, LIVE fuel! After this amazing section, the book moves into Genius Brain awareness', practices and support tools. Prepare to en/in/joy! Grandmother Sweet Shield's Life: My story is Our story. Inviting us to heal and evolve now. We have been listening to the unconditional witnessing and ever timely guidance of our Spirit Grandmother, Sweet Shield, always. Not having been raised by humans (spoiler alert! ), she sees our species with a uniquely open heart and profoundly acute knowing-ness that particularly applies in this time of the biggest evolution humans have ever embarked upon. This book is not about having to build in any certain way that is “right” or not in any way that is deemed “wrong.” It is totally about building consciously, however anyone chooses to build. Our choices then become manifest in wood and stone, paint and cloth, in respect and love. My agreement with Ursela at the start of this project was “that the house is her body and her body is the house”. Everything that happens in her body/mind/soul will be instantly reflected in the house creating, and everything that happens in the building process will be reflected in her body/mind/soul. This alignment, in my perception and practice, has created a living, breathing structure, manifest in Tucson, Arizona from respect and unconditional love, that continues to evolve and grow as its own live entity. This conscious awareness is the ongoing gift of wholeness and true community (being in relation to yourself first and then aware of your connection to everything and everyone else from your own self responsibility) that is felt by all who enter this sacred dwelling and this conscious awareness is also the potential that resides within each who experience this home to become more consciously aware of who they are and who they are in relation to everything else. This is a full story, with nothing left out. Long before we had this book finished, we knew how sacred and significant this story was/is: to stand up in the world and say, “We only build where the Spirits of the land welcome us. We will only build in the way that the Earth teaches and shows us.” This vision is not new, but in these impatient times where everything is torn down and taken apart to make way for whatever we crave in this moment, right now, it’s a vision that we don’t remember……or hear enough. It is possible to build our shelters in loving co-operation with the Earth and with all our neighbors (two-legged, four-legged, winged, etc.). Radical? Maybe it’s more radical to just keep tearing apart the Earth and actually think that there will still be enough Earth left to share with the children. The time has come. It arrives upon us right now, even though some of us will say that it came without warning. Not true. The warning came to all hearts and spoke the language of love. The time is now. We must stop building upon the Earth as if it were a place of refuse that someone else will clean up when there is enough time. We are the time. We must join our hearts this moment and declare that we will build nothing more, unless we form our homes and structures in the language of love. That is the only future before us and it rests upon our actions, Now, Now without hesitation, Now Now even if we believe we don’t have the time, the money or the talents. For if we do not declare absolutely that we will only build with the sacredness that all life already practices around us, then we create no future and we erase Now. Welcome, all children of Earth, for this message is meant for all. This letter is our contribution to the language of love. We looked around at how humans were building upon the planet and we said, “This is not our way, anymore.” So we set forth to build anew, even though we didn’t know how it would be done, or how the authorities in our life would receive our intent. We did it because we can, because we choose to speak the language of love. What does that mean? It means that while we don’t know everything there is to know about construction, we have watched and listened to the other beings who share this planet with us: the animals, the plants and the seasons. All of them listen to each other and they work, play and live completely interwoven with each other. With their instincts they always consider the whole and they never step out of rhythm with the dance of perfection and unity. That is the language of love. It demonstrates itself in every pattern of growth and movement. If you look and listen closely enough, you will see it, too. All of nature grows in spirals and circles, never in the squares of human houses. All animals slow in the winter and become active in the spring, and so on…. We knew that if we translated the rhythm and language of love into building, then we would create something that would grow all the time and would harmonize with all the beings of this world. Then we would be making something that would speak on behalf of us, while simultaneously honoring all others. So that’s what we have done. We have created a home, shaped out of our respect. Because of that it’s not just our home, it belongs to everybody. It’s dedicated to all the children of the Earth, since each one in their own unique and even inexplicable way, taught us the language of love. In their/your/our honor, we offer our story of building, as a story for all of us. Listen and find a page and make it your own. Share it with all other children of the Earth. This is how we know how to build a future not just for ourselves, but for all of us. ©2000 Twintreess AN INVITATION to YOU: How do you feel about all of this? Share your stories with us and tell us of your dreams to build! "No matter what, I am a guardian. And I did what was my sacred duty to do. There was no malice or judgment for me. Just the honoring of all the truths between us spoken or otherwise…… I am the final support…. It takes so much from me to give you these words. I have to reach deep into the earth. I need to feel that coolness on my face. I need to smell her heart, so that I can feel the rhythm of how to tell my story. Everything I say is part of the earth’s spinning, the sun’s travels…." “Animals, Plants and Stones have been our great teachers.”–Twintreess. We spend each day listening to all of the unique, incredible forms of life around us. Literally, they have given us wisdom that we never knew existed. Because of it, our life is unimaginable – truly unimaginable. Every day miracles appear and most amazing of all, this is now the pattern of our life. We live on a path of miracles that we don’t expect but they just keep coming anyway. While we were learning to be Spirit Storytellers, Ogallalah (a gorgeous malamute dog) lived right alongside us. Ogallalah witnessed it all. The incredible part was that she never said a word…. even while everything else around us did. One day she did speak, “I’m ready to give you my story.” What she told us changed us at the core, forever. When she told us what she really was doing, our minds and hearts expanded far beyond belief. Animals, because they live so close to their instincts and their Spirits, live in and act in dimensions that affect us beyond our logic and the everyday practice of our lives. Ogallalah protected and guided and loved us in worlds that we didn’t even see with our physical eyes. But in telling us her story, she shows us these worlds and how to live on this Earth and in our dreams, simultaneously. Her gifts transformed us completely. This book has already led many other lives before landing here. Because of this it has gathered momentum and precious lifeforce. Now it can readily enter your heart while disarming your worried adult mind. This collection of ever-growing stories touches and then sweetly awakens your inner child. It is not a faerie tale, it is not a fable. It is a real live adventure that gently happened to us while we were already working and playing and just living with our dreams intact. I am old, old, old, like the stars. They smile for a moment but the spark is carried across the void forever. There is no time in this, there is only the art of being. Do you notice that you never measure a laugh or a tear? It does not have time attached to its existence, so it echoes in now. It is a child of forever. It is not stored in memory because it is never gone. These things live alongside of us but never hold us back, nor do they hold us forward. They are content to only hold our hands and our hearts without end or beginning. They are us in another slice of life, a fragment of the prism or a meeting in the void. What are you old like? I will hold your spark high above us while you touch the ancient glories of you that never leave. I am old as a ring around the moon. I am old as a child’s secret. I am old as the perfection of every vein and bone and smell of my body. I am old as Spirit that travels the invisible lines of the universe and touches only me. I am old like my stories that grow down the length of my arm, through my moving fingers, and spill into the earth so the winds cannot shake them until I speak. They are the stories of power, so they are never the same, but they are always the one story. Find it any way that you can. I am the old wizard of the cave and when I sizzle with my stories, they shoot out my fingertips like holy lightning bolts that electrify the oldest stones. My tales are divided into the texture of each of the stones to fit their special-only voices. Each rock smiles and cries a shade different from the other and when they sing the songs together, it is a full chorus that lights up the night. How can you be lonely? Every being has a special story that will be special only for them because it will travel their ears a shade different from all the rest. Play with my magic and make it ours. Hurdle a stone into the sky until it becomes a star. I hear you a shade different from all the rest and That is as old as perfection. Each of the books that comes out of our heart and guts and Spirits are like our children (even though they are never “ours.”). Each one has its own very distinct personality and unimaginable destiny. “Etheric Songs from the Children of the Earth” was our second book. The first one was almost completely written before we even knew it was a book. It slipped out of us and into the world before we could think about it or plan for it. With the second book, we thought we knew more. We realized, very consciously, that we were responsible to these words from Spirit; we had to care for them and give them exactly what they needed to grow strong in the world. Perhaps more than any of our other books, “Etheric Songs” came directly from our cells. It is the most mysterious. It directly shows us that each human lives many different lives in one. It shows us that we are infinite parallels of ourselves and while time and space as we understand it do not explain this, it doesn’t matter. This is reality. We all are so much more than our words can describe. So, of course, these words reach out beyond definition. They immediately give us all the vibrational experience of multidimensionality — our most unheard of and incredible potentials. We thank “Etheric Songs from the Children of the Earth” because it teaches us to be as Spirit sees us — unlimited without explanation. We give thanks for this book, continually. They are not words, they are the deepest stories from the Stonespirits imaginable. They came to us because we were listening. Where they took us beyond that we are still discovering each day. This is different from “Stones Alive!” That’s a reference book; it gives you a place to begin, with familiar ideas and traditions to hang your hat on. “The Heart of Matter” presents direct cellular language from Stones. It lands upon our cells and our DNA. It lives holographically and whether or not our minds can wrap logic around that, our bodies get it. At the core cellular level, we are connected to every life form on this planet. We are more like the Stones than not. When they give their full essence as they have in this book, our bodies feel that, they move with it, they grow with that and they model that to our minds, our hearts and our Spirits. Just experience it. Feel your own transformation and evolution with it. It is the season of change and wonder on the planet and the Stones know it. Deep down, our bodies know it too and they welcome it. This is the “true” story of our spiritual Grandmother, Sweet Shield, the firstborn of a native Inuit chief in northern Canada. In her tribe’s tradition, the chie’s responsibility was to produce a boy-child, first, to carry on the lineage. When Grandmother was born a girl, she was a “bad” omen and immediately left in the woods (in the middle of the winter) to die— her birth somehow explained away. Non-existent. However, she did not die. Instead she was adopted by Grandmother Bear and Grandmother Raven and spontaneously raised as a 4-legged and taught nature’s and life’s ways and cycles and harmonies. Grandmother Bear particularly guided and taught her, deeply, within the Dreamtime. Eventually she returned to her tribe, excitedly, to offer wisdom she had gained through being raised in harmony with all things. Being thoroughly shocked to see her, they immediately attempted to kill her, again—as a bad omen. The tribe’s Medicine Man however, (who also had profoundly learned and traveled with Grandmother Bear in the Dreamtime) recognized the miracle of Sweet Shield and prevented her murder. This is Grandmother’s raw, intimate story about living and learning with, and as, a 4-legged, who also returns to her two-legged origins to heal, to accept, and to bridge the natural world to other humans. ***AND a new upcoming Stones Reference Book!!! 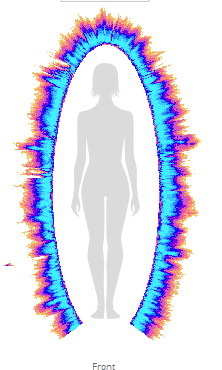 This new Book will feature a long list of Stonebeings and humans energy fields using our new Russian Gas Discharge Visualization machine. This machine is a vast, exponential improvement (and beyond) of Kirlian photography and is an exciting additon to our tools. This book will show energy scans of a human baseline, and then an energy scan follow-up of the same human with the addition of a Stone or Stone Combination helper/support. These energy scans will be listed according to the name of the Stonebeing or Combination and also by the Issue they are supporting to move to greater vitality and health. 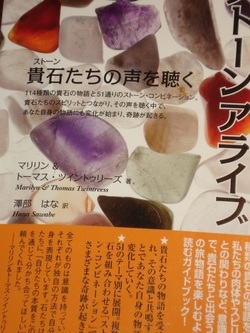 This book will also feature new scientific references for each Stone and will also be published in Chinese. We will keep you posted. This book has moved to the top of our writing list so it will potentially be published before Grandmother Sweet Shields story listed above.